I used DK weight stash yarn. I used many colors and a J (6.0mm) hook, but I crochet tighter than the average bird. You could use any weight yarn with your favorite hook, as long as the yarns are about the same weight. 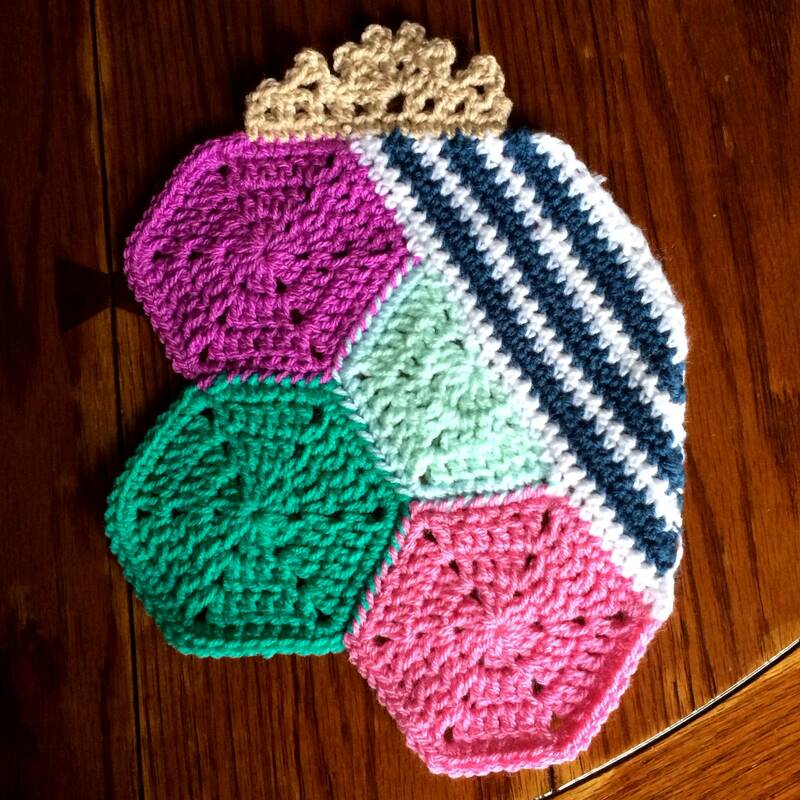 For this design, you will be making hexagons and joining them as you go, leaving the upper right corner of the piece cut out. 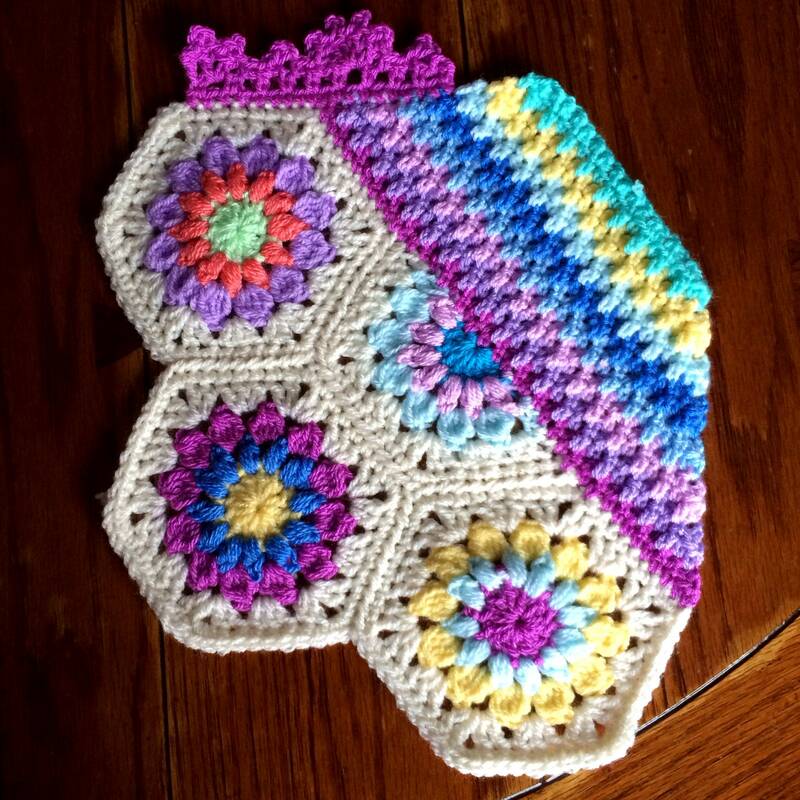 Then, the blanket is squared off (with half-hexagons and a striped corner). 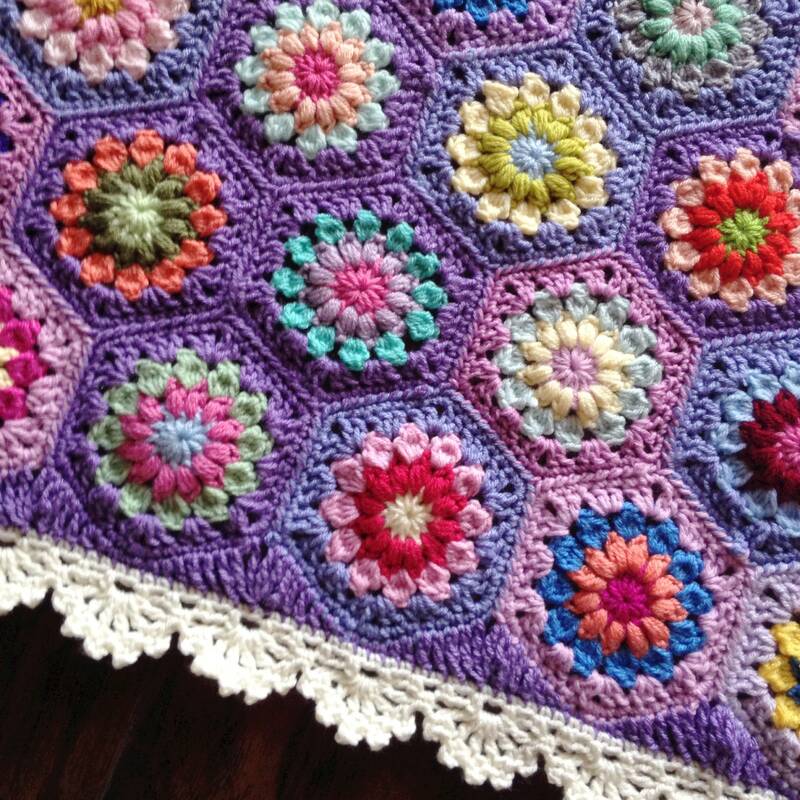 Finally, a lace border is added. 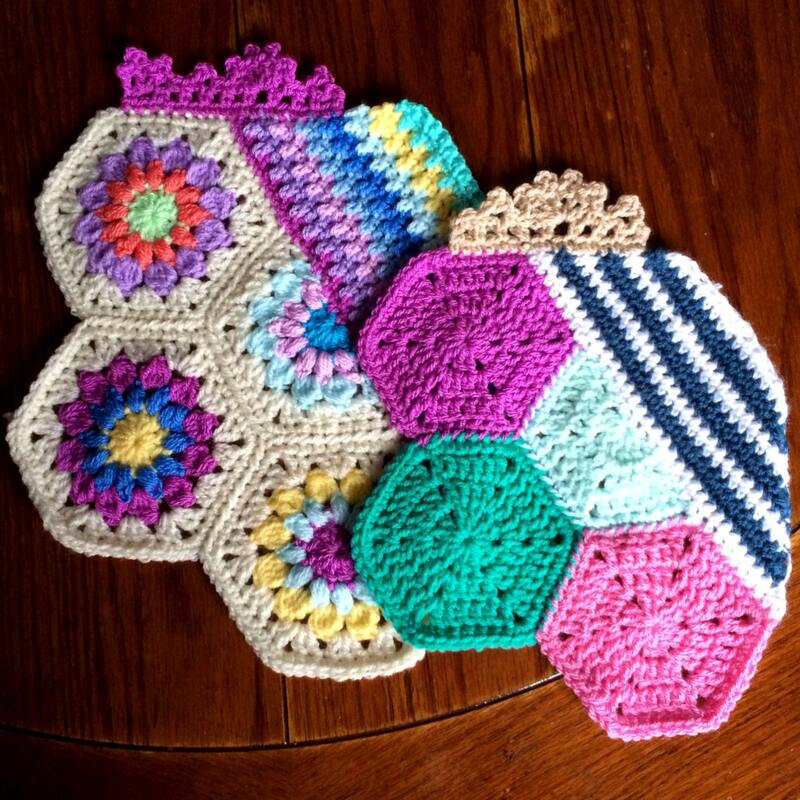 I include an easy version of the pattern as a bonus! You can use a bit of math to fit any type of border to the squared edges. 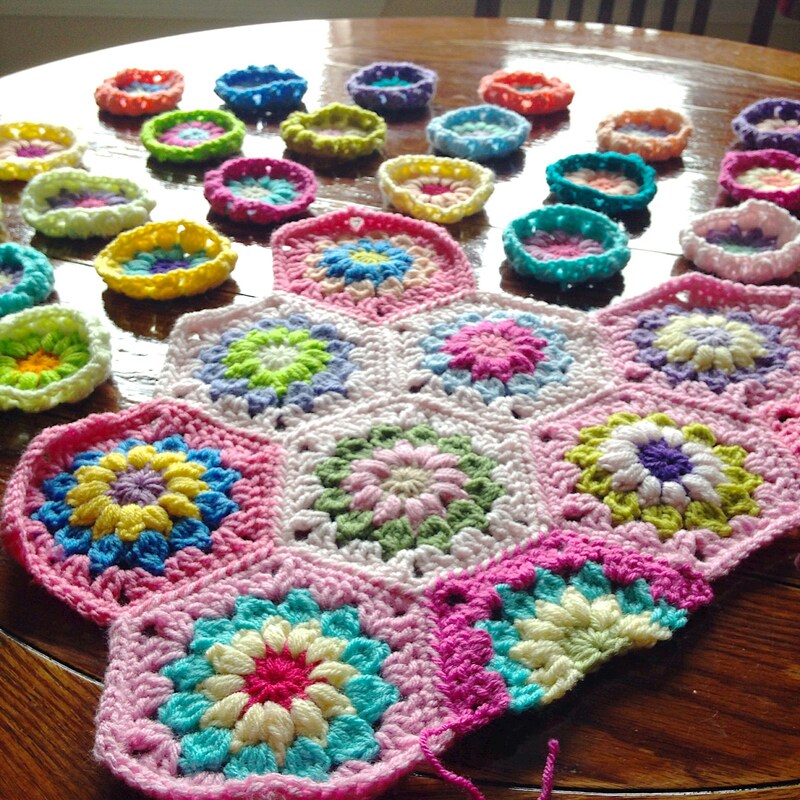 Also apply the squaring method to any hexagon blanket! 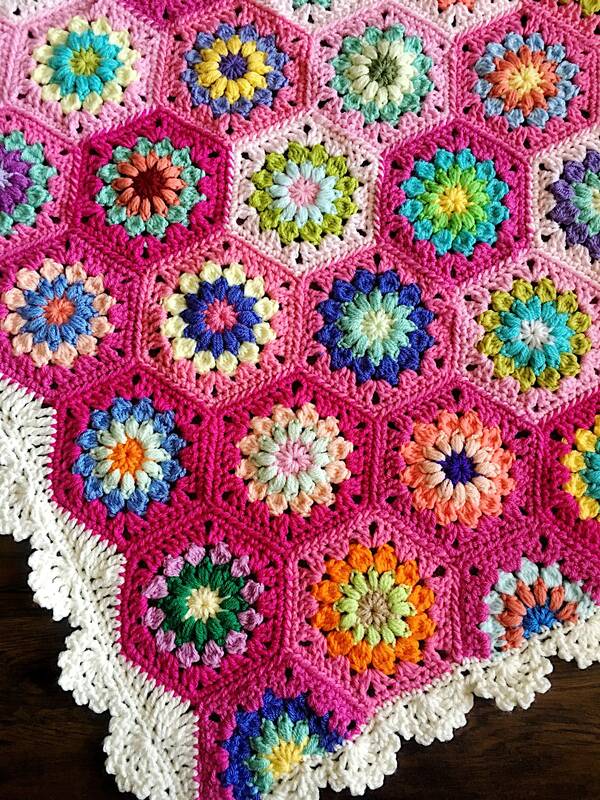 You can use this blanket pattern to create the blanket to your liking, but it is specified to feature hexagon flower motifs with a neat striped corner and cute lace edging border. 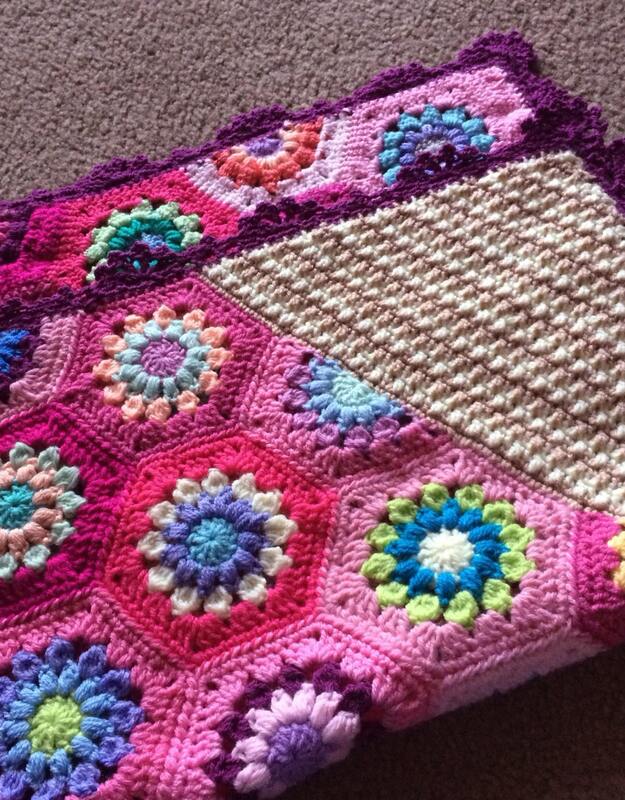 Instructions to join as you go are included in this detailed crochet pattern. Love the colors have not made it yet but plan to do so soon. I just love this store. 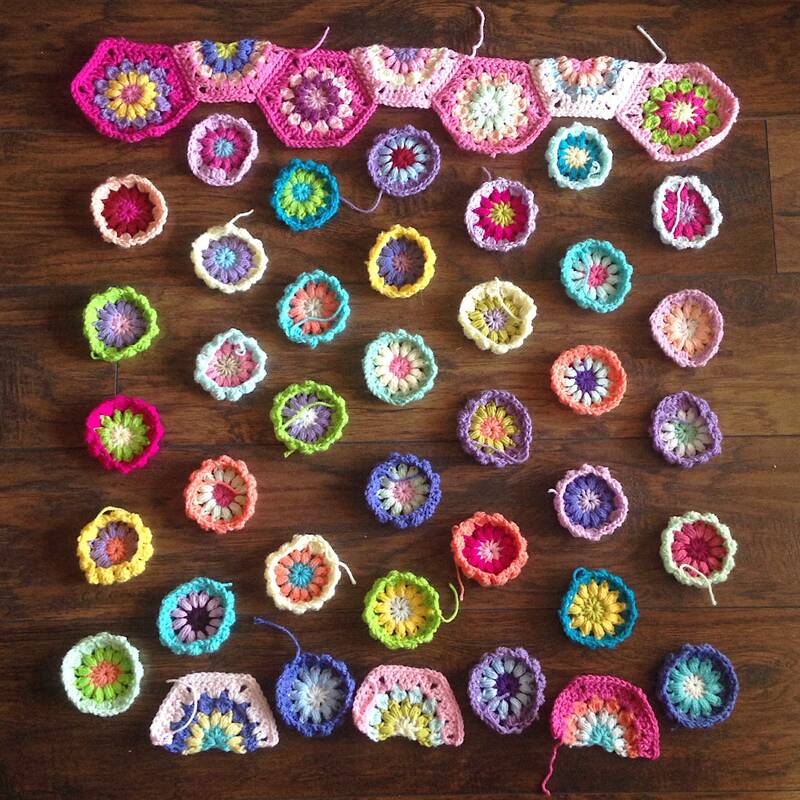 Her work is incredible, enviable and makes me want to take the challenge to be as awesome at crochet as she is! 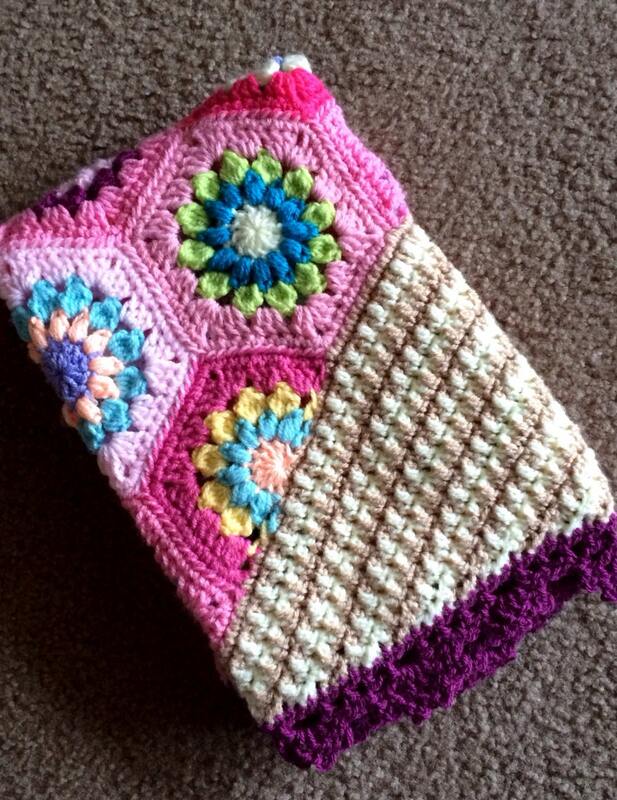 Beautiful pattern and instructions! 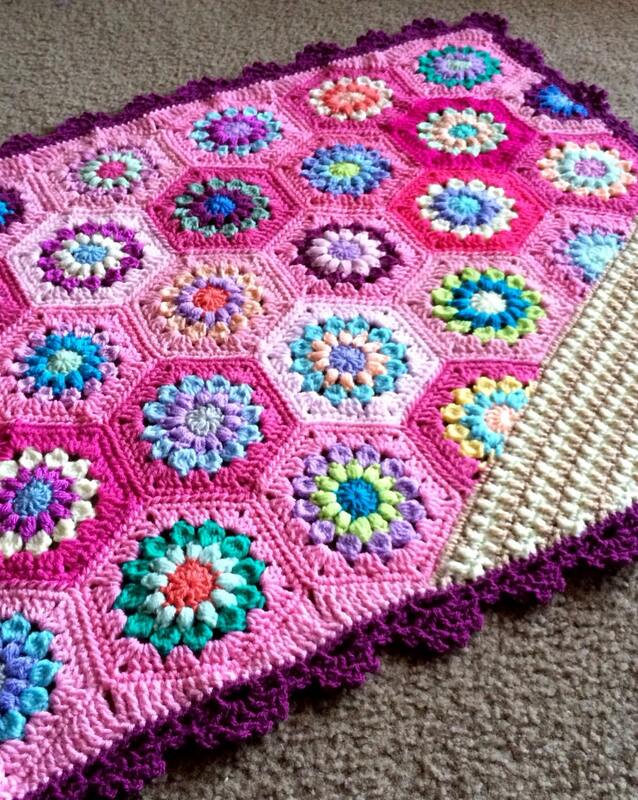 My blanket turned out gorgeous!